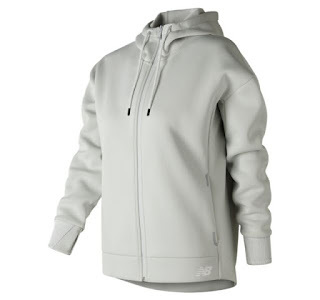 Today only you can get this Women's 247 Sport Full Zip Hoodie for ONLY $32.99 (Retail $99.99)! The women's 247 Sport Full Zip Hoodie is your new favorite wear-everywhere layer. Made with a structured knit fabric, hoodie delivers a comfortable fit you will want to wear daily. Also offers a standard length, oversized hood and drop tail silhouette at back with hand pockets at the side seams to provide a relaxed, modern fit that holds a shape. The women's 247 Sport Full Zip Hoodie features a relaxed, boxy fit with reflective hits on the hood and thumbholes at the ribbed cuffs for an outer layer that is sporty and chic.